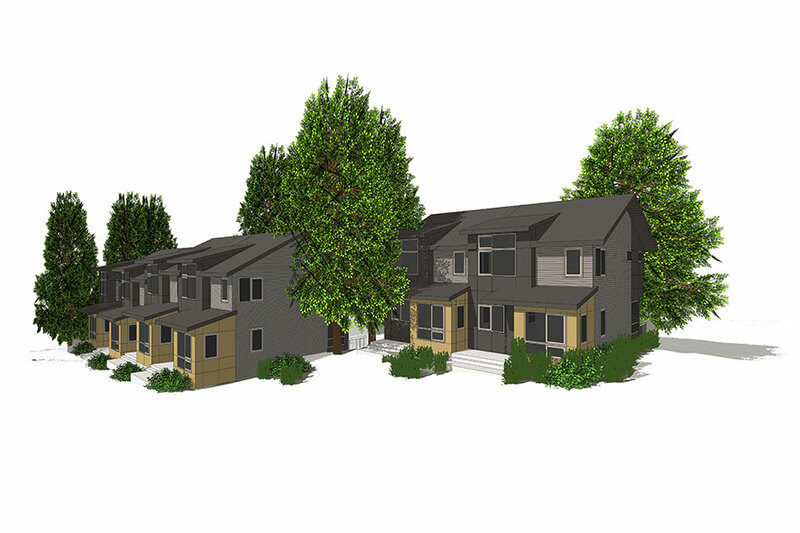 Located just one block from Columbia City’s main street are 12 townhomes with three models to choose from and a variety of amenities including rooftop decks and private garages. Perla is located between the east end of Pearl Street and 42nd Avenue S. just one block from Columbia City’s thriving restaurant and music scene. 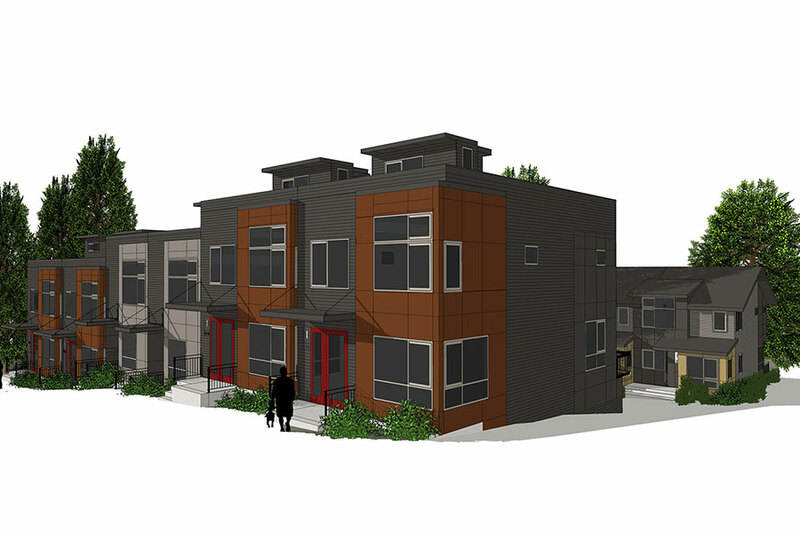 It is a collection of 12 modern townhomes with great views of Rainier Valley. It is urban residential living at its best – an instant community in an established neighborhood. There are three models to choose from ranging from two bedroom/two and a half baths to three bedroom/three baths. Six of these feature roof top decks with panoramic views of Rainier Valley and private garages. These residences feature gracious main floor living spaces with a gourmet kitchen and dining for six. Four of the units have private dining rooms. Wide windows and sliding glass doors bring light into all living spaces. The third floor of each unit is a master suite with one or two additional bedrooms, depending on the model you choose. Perla is designed to Built Green standards, an environmental building program from the Master Builders Association in partnership with King County and Washington State government agencies. Including high efficiency water heaters, plumbing fixtures, and insulation, Perla townhomes are more cost effective to own and will cost less to maintain. Beautiful bamboo floors, whole house ventilation, and low VOC paint and finishes will promote safer, healthier indoor-air quality and help you leave a smaller environmental footprint while helping to protect the Pacific Northwest’s precious resources. Beautifully turn of the century buildings line Columbia City’s vibrant business and retail district. Perla, the Late Latin origin for Pearl, is walking distance to Starbucks, Tutta Bella Pizza, bakeries, pubs and bars and parks. Banks, a public library and the Columbia City Theater are also nearby. King County Metro and Sound Transit Link Light Rail which is a short five minute walk away, make it simple to get to downtown and SeaTac airport, both in 20 minutes.